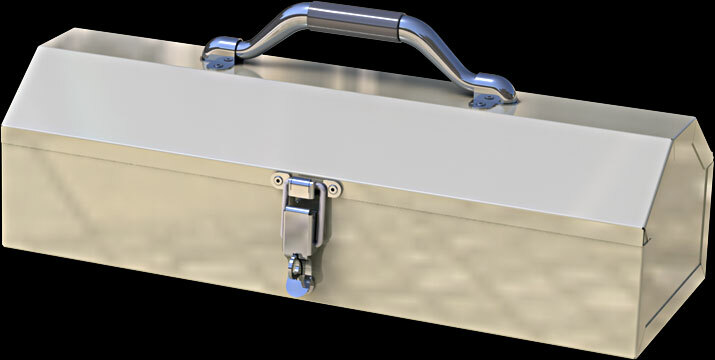 Welcome to cudacounty's SOLIDWORKS 2018 Sheet Metal Toolbox Tutorials. 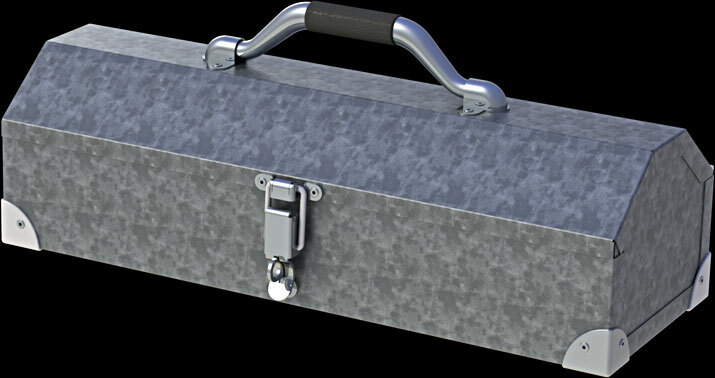 The Toolbox is modeled from the classic toolbox kit that was a popular sheet metal project back in the day. The kit is available today at Pitsco, Midwest and IASCO (page 98). 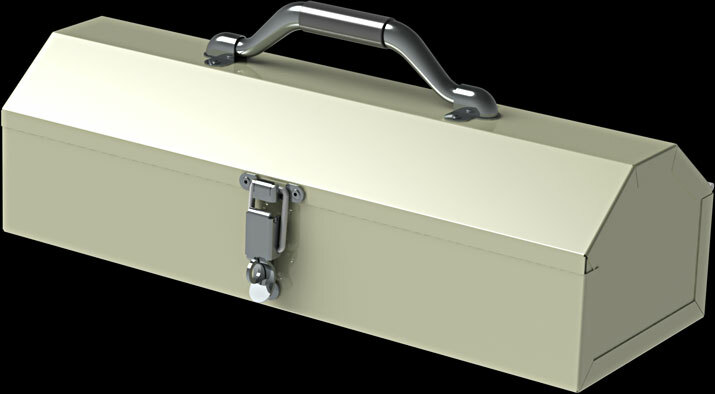 The box parts, hinge and latch part are all sheet metal that unfold. The handle is lofted using guide curves. 1. Box Bottom. Sheet metal that will flatten. Part 4. 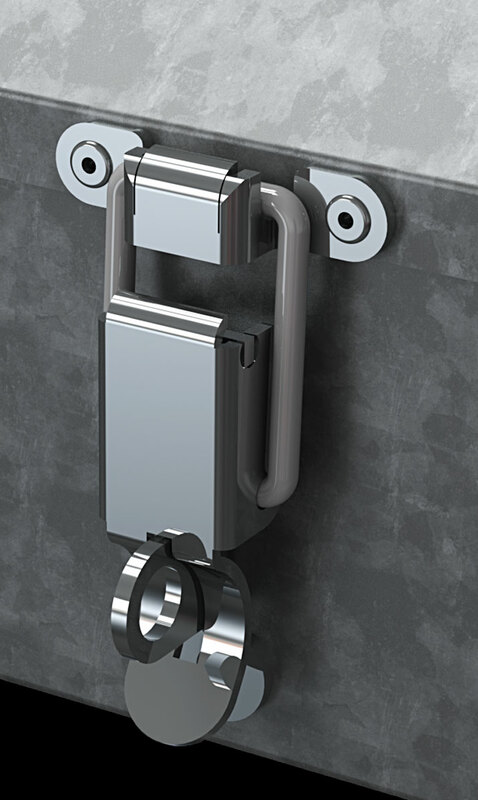 Hinge A and B. Part 8. Handle. Loft with guide curves. Part 17. Box Corner Protector. 18. Rivet. Rivet with four configurations.